I enjoy the planning of a trip almost as much as going on the trip itself – researching is fun! 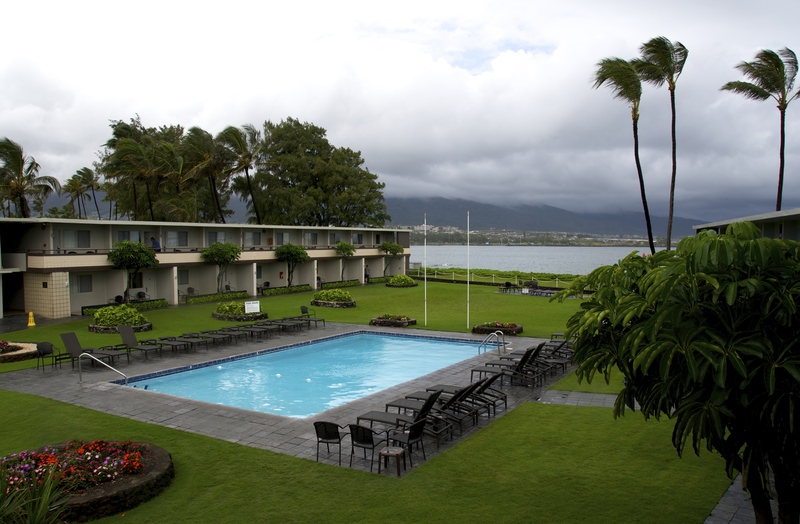 I booked the first night at the Maui Seaside Hotel in Kahului (where Maui’s major airport is located) for a few different reasons. 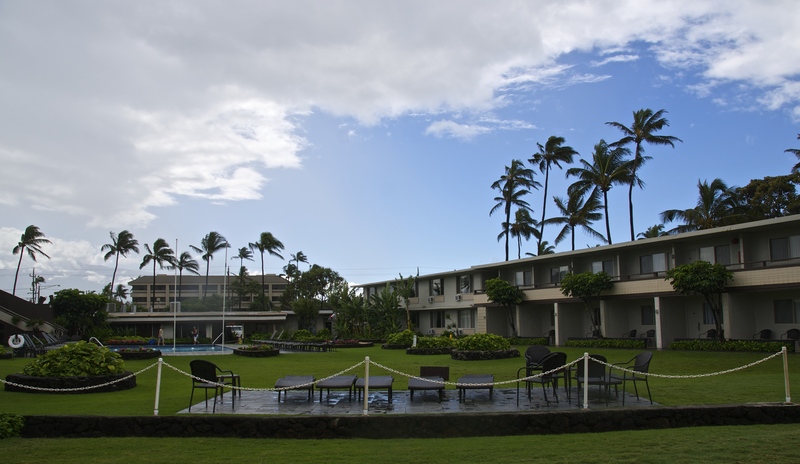 It’s about a 45 minute drive from Kahului to Lahaina and since by the time the flight arrived it was 2:30am Saskatchewan time (after leaving for the airport at 9am Sask time), the idea of just crashing somewhere close by and starting fresh the next day was very appealing. 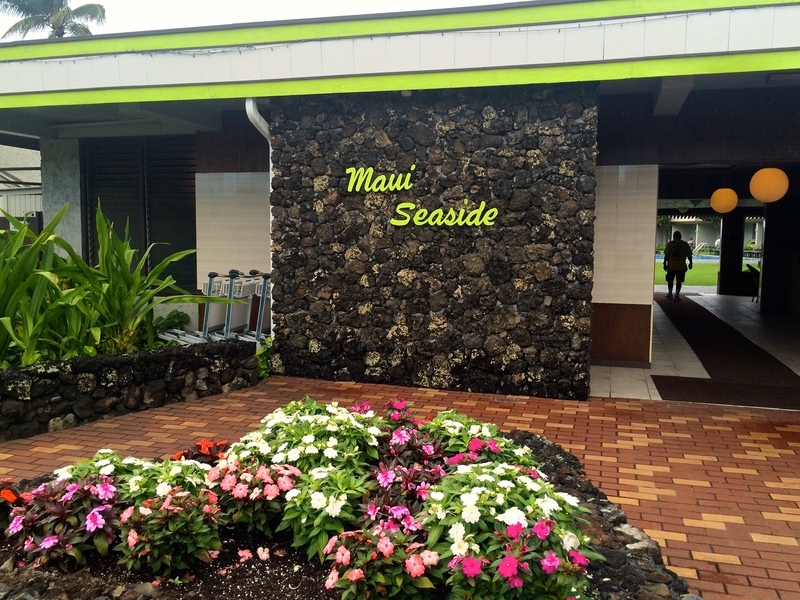 As well, the car rental place (National) in Kahului would have been closed by the time we arrived and collected our luggage so we would have to come back the next day from Lahaina to get the car. And, lastly, it didn’t make sense to pay for a night at the resort (which would have been double the rate for the Saturday night) when we were going to arrive after midnight. I wouldn’t stay here for a week, but as a place to sleep after a long day of traveling, it worked out really well. We received breakfast vouchers for the restaurant next door, so with full stomachs, we cabbed it to the car rental place, and were driving with the top down in the rented Mustang convertible on what turned out to be the hottest day of the trip, by 11am. A stop for lunch and groceries in Lahaina and then off to Aston Maui Kaanapali Villas by early afternoon and a walk on the beach shortly after – it actually all turned out the way I hoped it would! 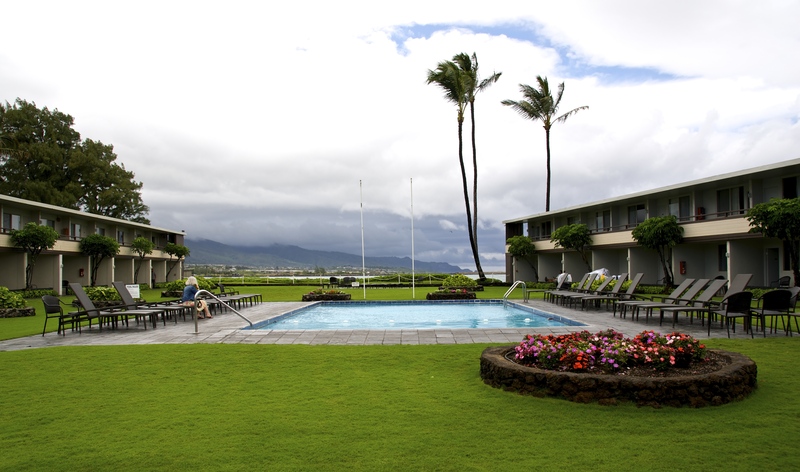 This entry was posted in Maui, Photography, Travel, Writing and tagged charming hotels, Hawaii, Kahului, Maui, Maui Seaside Hotel, photography, seaside hotels, trip planning. Bookmark the permalink.